Warm days, cool nights call for shorts, and a jacket. 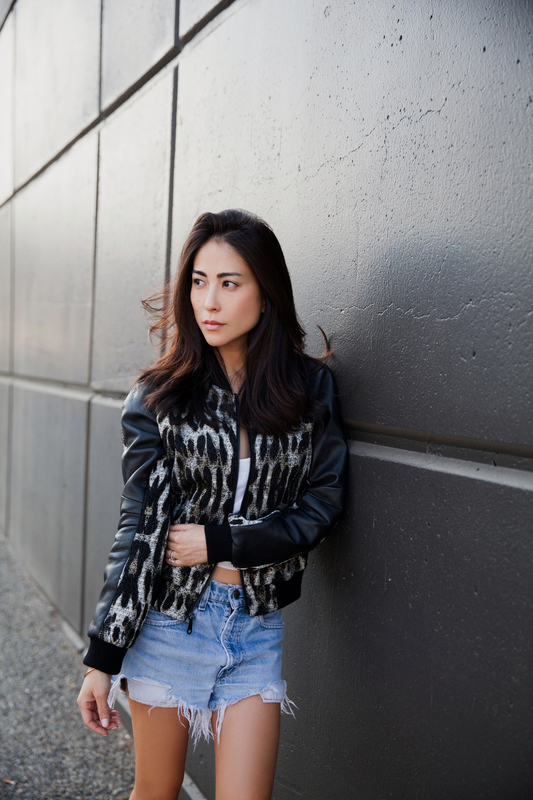 I love this Rebecca Minkoff animal print bomber with leather sleeves. I can throw it on over anything simple, and it instantly dresses it up. There is a wide selection of bomber jackets available this spring--make sure you pick up a printed one to spice up an outfit.